Not all therapists are the same, and one or two bad sessions shouldn’t deter you from getting the help you need. When it comes to finding the right therapist, you may be lucky enough to find one that works right away or you may have to go to a few. If you’re looking for a new therapist or you’re starting therapy for the first time, Dr. Eliana Cohen and her associates are more than happy to help. At Dr. Eliana Cohen Psychology, we specialize in a variety of mental illnesses, family and couples counseling, and more. Our psychologists can assist you in getting the help you deserve. Whether you suffer from depression or anxiety or you need relationship counseling, we have the knowledge and skills to help you work through the problem. Learn more about our practice and contact Dr. Eliana Cohen Psychology to schedule an appointment today. 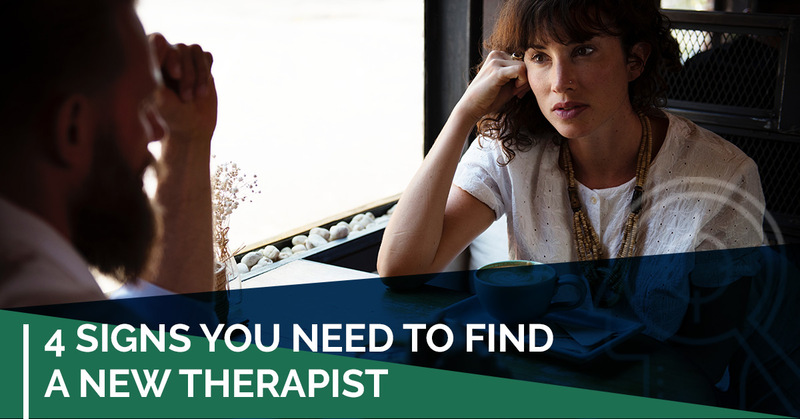 In this post, we will talk discuss some of the reasons why you may need to find a new therapist. Not every therapist will fit your personality, which is why it’s important to not become discouraged and instead know when it might be time to find someone new. Therapy is a way for you to express your thoughts, feelings, emotions, and your problems. You want to be able to go in the room and trust that your therapist has your best interests at heart. As with any important relationship, you need to have a connection with the other person in order to build that foundation of trust. If you’re not connecting with your therapist, it might be hard to trust him or her. During a therapy session, it’s important to open up about what’s bothering you. If you don’t have a connection or a foundation of trust with your therapist, you may hesitate to share your candid thoughts and feelings. As you and your therapist work through problems, he or she will ask a lot of questions as a way of learning more about you and understanding your intentions. However, in some cases, you may feel that your therapist doesn’t ask the right questions, or you may get the feeling that he or she doesn’t really understand you. If this is the case, you may want to start searching for a new therapist. It’s hard to open up about your feelings and the events taking place in your life if you don’t feel understood, which is why it’s important to have a therapist that understands you. An understanding between therapist and patient is key when it comes to being vulnerable during a session. As we mentioned above, therapy is a place where you should feel safe. If you feel that your therapist is judging you or the decisions that you make, it can lead to a myriad of other problems and result in you thinking that therapy is a waste of time. A therapist is not there to judge you. He or she is there to listen to your problems and help you work through them. Judgment from your therapist is never a good sign, therefore if you feel that you are being judged, it might be time to look for a new therapist. That being said, it’s also important to know the difference between judgment and trying to understand. Both your time and your therapist’s time is important, which is why many therapy practices require that you cancel a session within a 24-hour window. Just as you have respect for the time of your therapist, he or she should have respect for your time as well. A therapist who is constantly showing up late to your session, canceling with short notice, or acting distracted during your session is a bad sign. You deserve a therapist who respects your time as much as their own. At Dr. Eliana Cohen Psychology, we do our best to help you tackle the problems at hand. Our expert psychologists have the knowledge and skills to help you work through issues in a healthy way. From couples therapy and family counseling to mental health conditions and eating disorders, Dr. Cohen or one of her associates are more than willing to work with you. Browse our website to learn more about our specialties or contact us today to schedule an appointment.